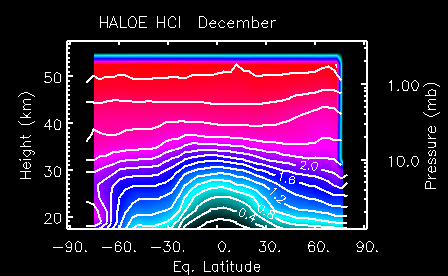 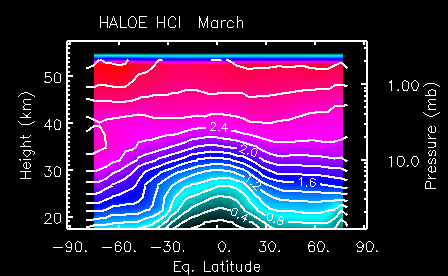 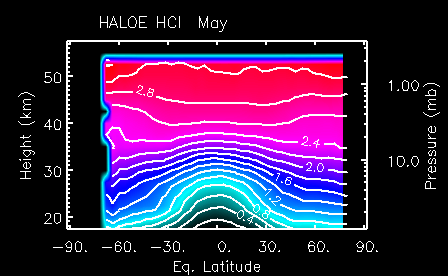 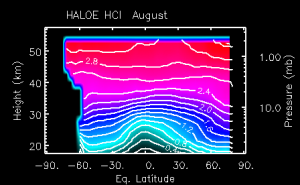 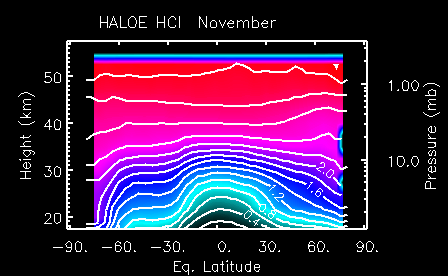 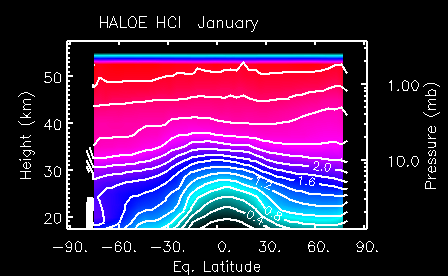 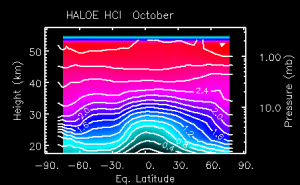 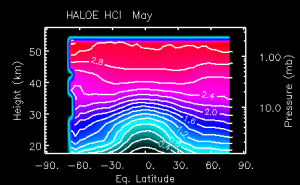 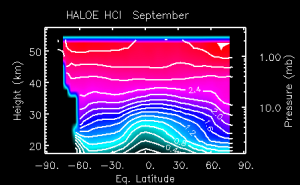 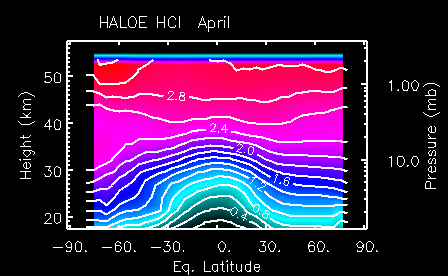 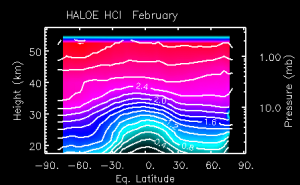 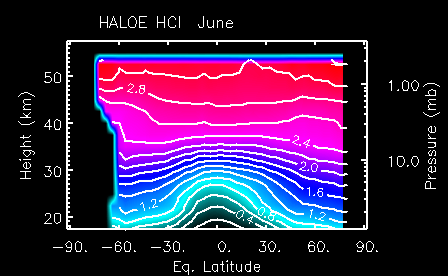 Monthly averages of HCl observations from UARS HALOE as a function of height and potential vorticity expressed in terms of equivalent latitude. 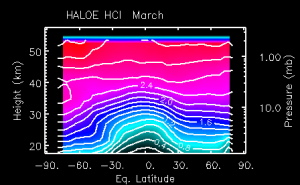 Contour interval is 0.2 ppmv. 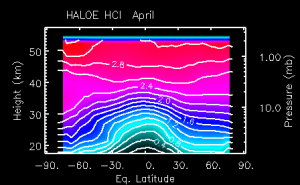 Please remember to send us a quick email with your feedback to gro.e1555869890tamil1555869890c-cra1555869890ps@ec1555869890iffo 1555869890. Thanks!